Like being the center of attention at any party or just wish you could be? 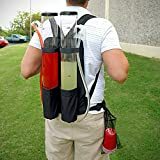 Then simply slip this cool new Tailgater - Dual Tank Backpack Drink Dispenser on your back and party on. 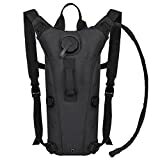 This total thirst-quenching backpack holds 210 oz of your favorite alcoholic concoctions, beer, shots, cocktails, margaritas, mixers, plain old water, or anything you wish inside dual acrylic beverage tanks that dispense out using two gravity-fed hand taps. 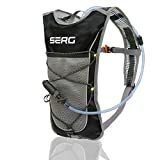 It even includes a handy mesh bag to hold extra cups around your waste for all your newly found friends. Size: 25.5" x 12" x 4"